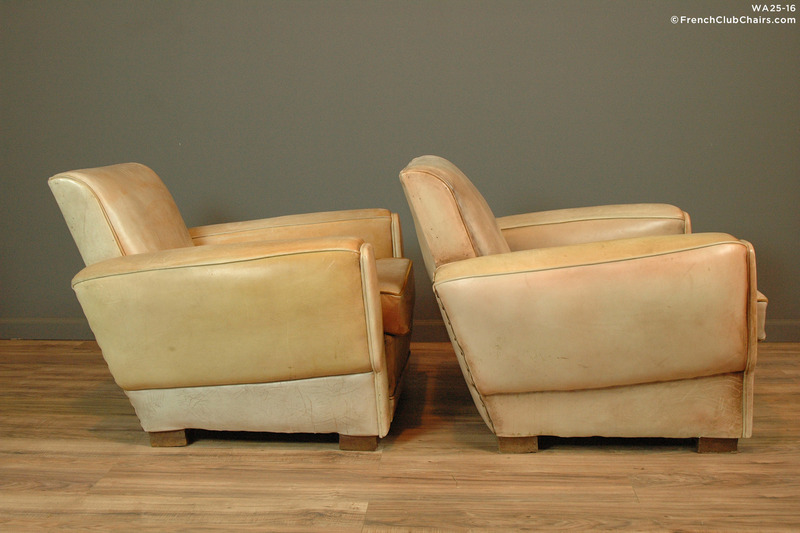 Liseaux Sand Library Pair Vintage are a very cool and unusual pair of French club chairs. Rare to find them in this off white or sand color. Thick rich, high quality sheephide is very hard to dye this very light color. Do they have some age apropropriate wear? Not much. They sit deep and comfortable.A real signature pair Circa 1950s. measurements: depth-36", width-37", height-29", seat depth-25", seat width-20", seat height-17"